You don’t have to be a rebellious bad boy anymore to pull off the Stubble look. This style is an effective way to slim the lower half of the face and to highlight your cheekbones. Avoid shaving for a few days. 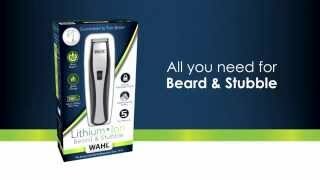 Using your Wahl® trimmer, create a lower border by trimming along the line where your chin meets your neck and remove all hair below it. You want to avoid an unkempt neck. Using your trimmer, trim your whiskers to a uniform length. 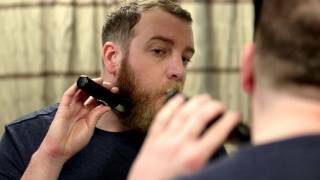 Along the edges of your beard, choose a trimmer guard that is one step shorter than before.